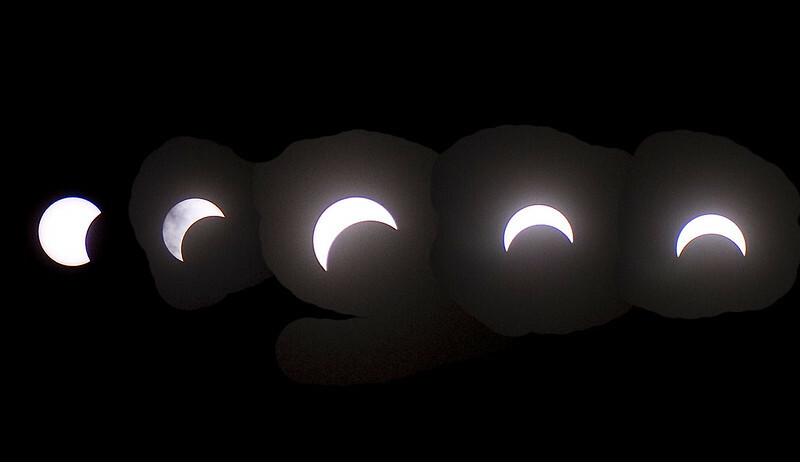 Since I don't own the appropriate filter for my camera, I didn't plan to take any photos of the eclipse today - just of the admiring crowd. I didn't even own a pair of protective glasses that everyone else was smart enough to snap up weeks ago. 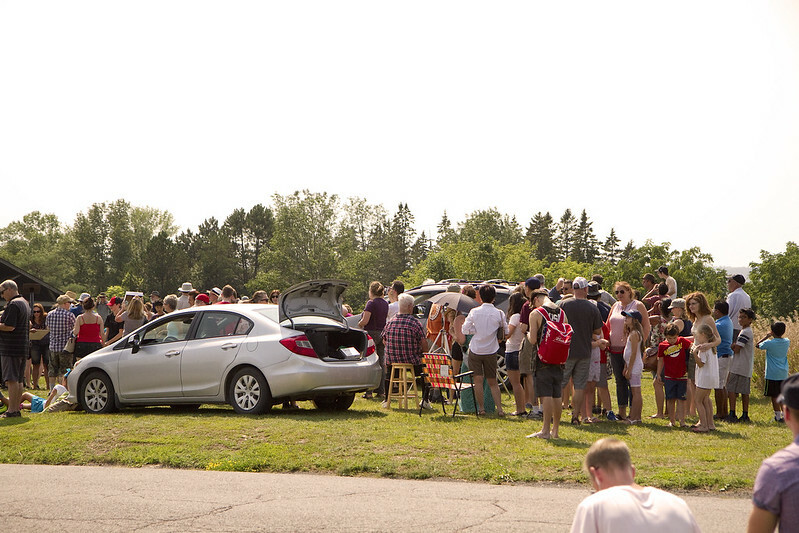 I did hear though that there would be "viewing equipment" available up on Armour Hill, here in Peterborough. Alex happened to be here for a short visit, so I dragged him along with me. 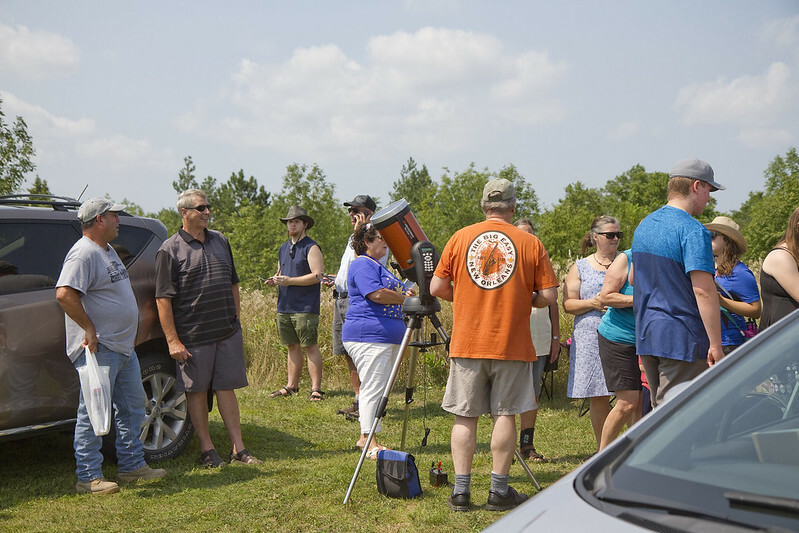 A moderate-sized crowd had already gathered when we arrived to view the eclipse and quite a few more kept coming, the closer we got to complete eclipse - which here, was only 68%. 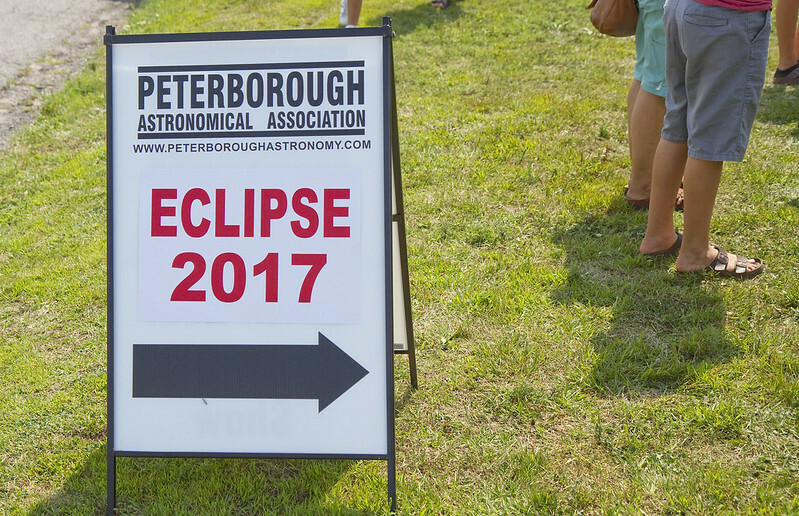 The equipment was in the form of numerous telescopes set up by The Peterborough Astronomical Association (PAA) for public viewing. 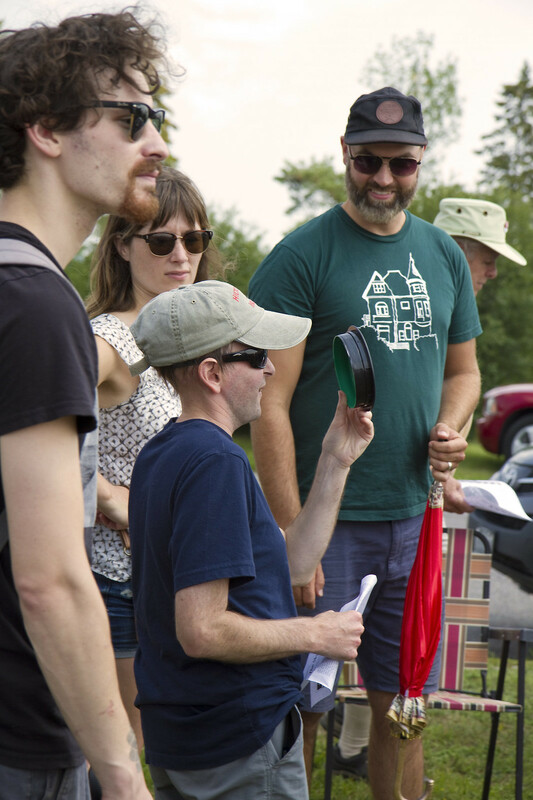 They had also been handing out a few hundred pairs of glasses but had run out before we got there. 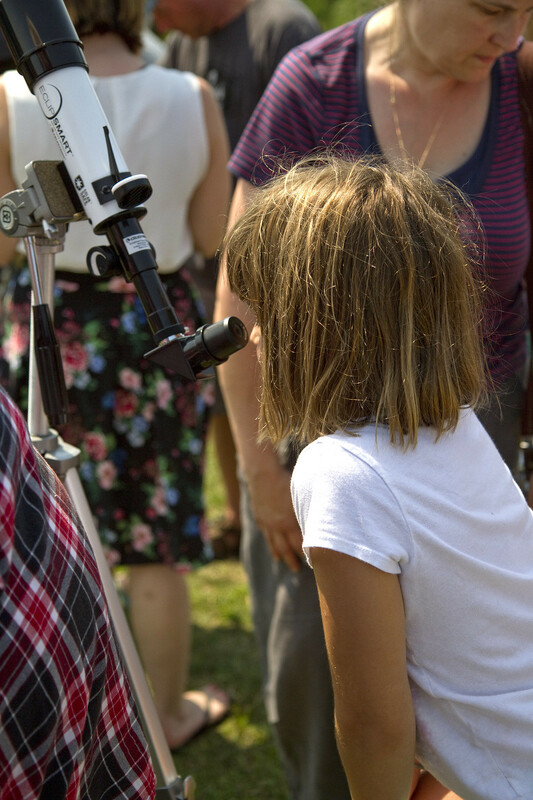 We each took peeks through the telescopes and through glasses which so many people kindly offered to share. At least one of the telescopes had a camera mounted on it which was showing images in real time. You can see the camera right near the man with his arms folded. I decided to snap a photo of what that camera was seeing. One of the PAA's devices was a handheld circular protective lens which we could not only peer through but also snap photos through it. 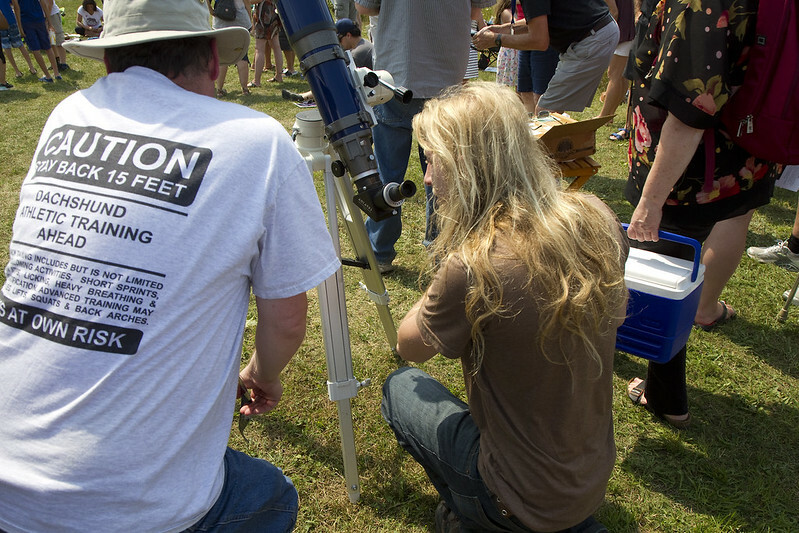 Kids took their turns at the telescopes. It wasn't always easy to focus on it right away - you needed to move around a bit to find it which made it a bit tough for the kidlets whose natural tendency was to grab the viewfinder and move it. 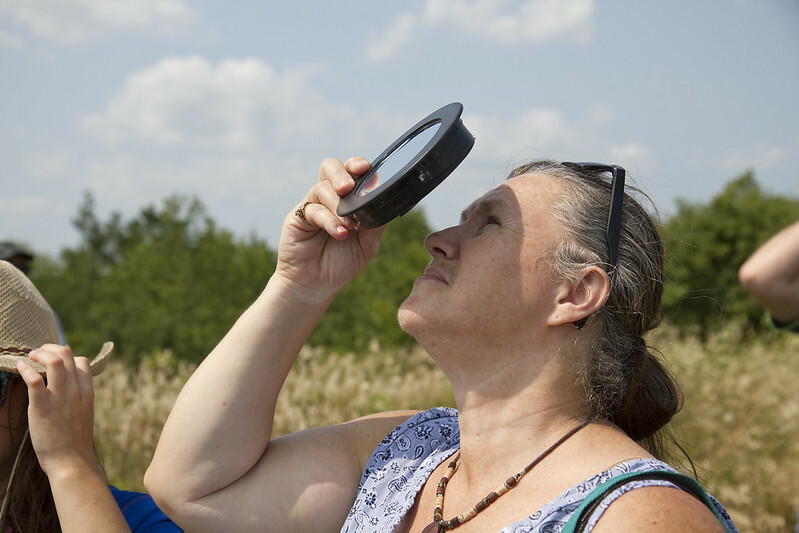 By the time we were much of the way through it, we could see the changes in the colour of the surrounding landscape. Everything was a little more saturated like it gets a couple of hours before sunset - but in the early afternoon. In that lovely light, scenes like this were everywhere. 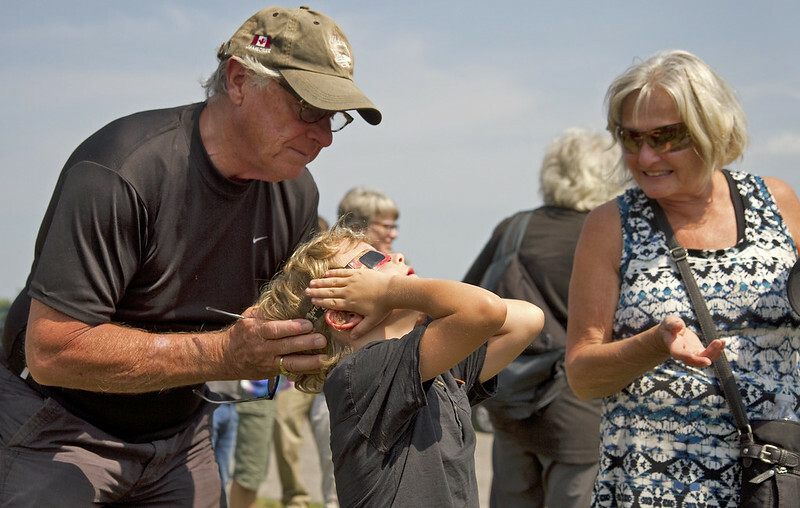 Parents and grandparents helping little ones to see the eclipse safely. Here again, is that homemade, handheld lens which allows you to look and take photos through it. Had I known that, I'd have brought a more suitable camera lens. I gave it a try anyway and had less-than-stellar but good-enough results. Here are a few shots Photoshopped into one image. 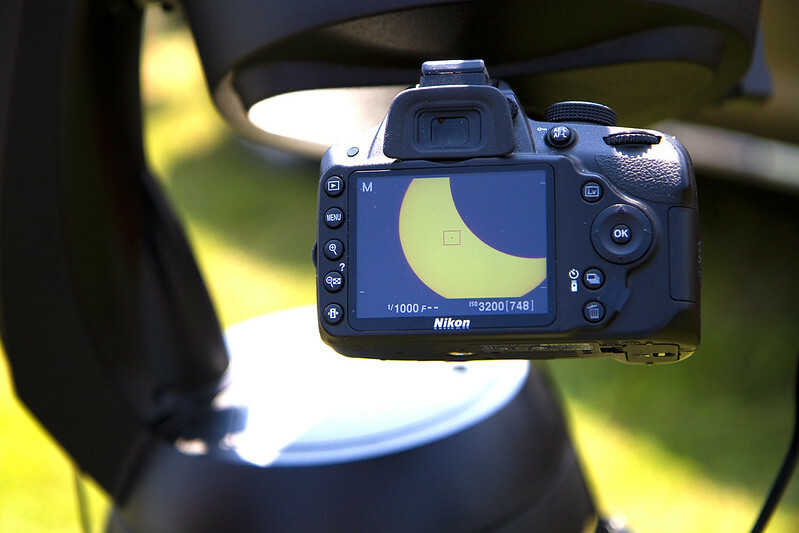 Pictures were taken at the half-hour mark, one hour (with clouds passing by), about ten minutes from totality, a couple of minutes from and right at totality (68% here). It was great fun to witness it and to record it. 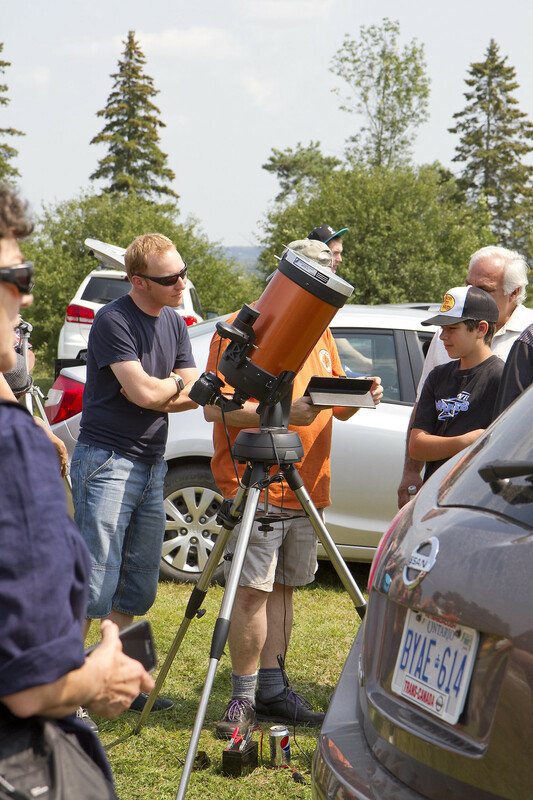 Thanks, Peterborough Astronomical Association! How was it in your part of the continent? If you like the title of my blog post, you're not exactly in the same boat as most of Peterborough. "Where roads and rivers meet" was the proposed new tagline for the city but it was widely rejected recently. Despite it being a rather accurate description, I think its irony comes too soon after the great flooding we experienced this and previous springs. Social media spots and other various online publications have suggested a contest for a new slogan. Some of those suggestions as well as previous slogans, and those for the Trent and Kawartha area in particular will appear with my images below. 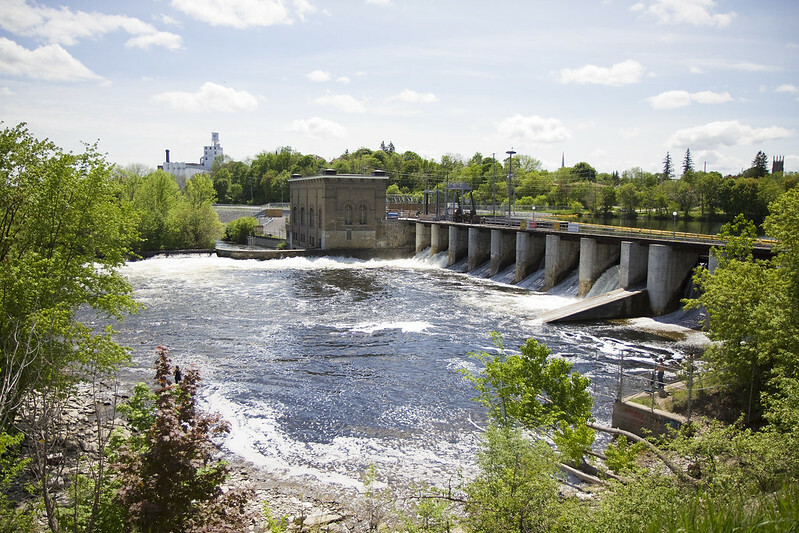 These are the churning waters of the London Street Generating Station. 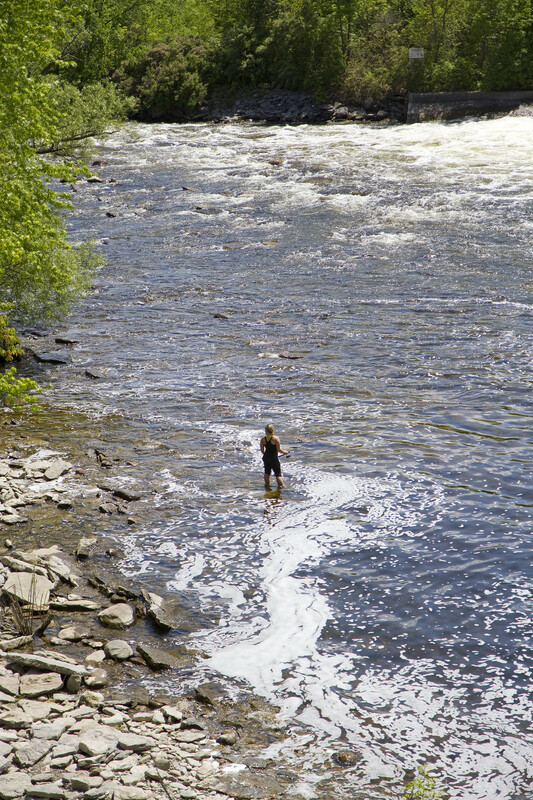 This woman was fishing closer to the shoreline at the base of the generating station. 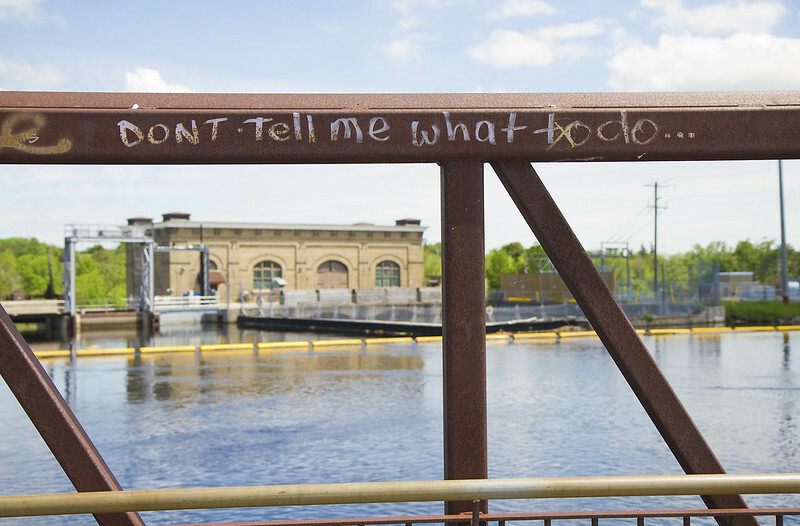 A small show of defiance on the nearby walking bridge. 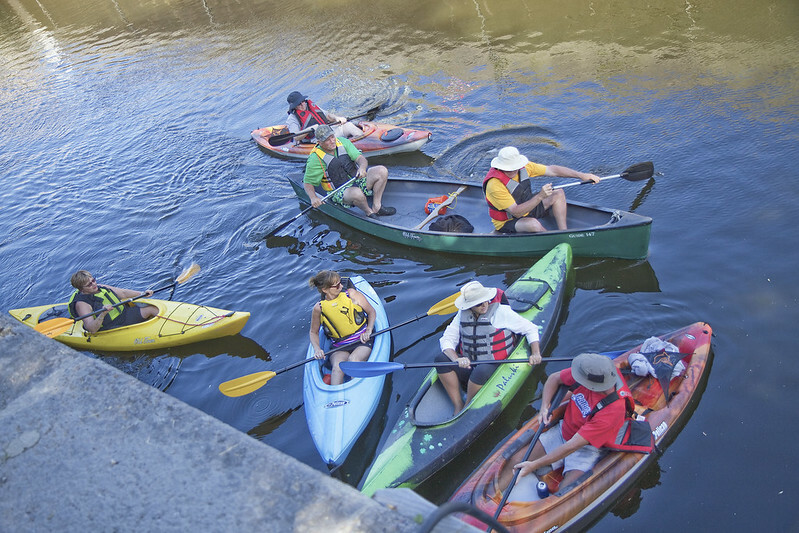 Regardless of water levels, many locals have kayaks and canoes, and enjoy getting around town via the waterways. 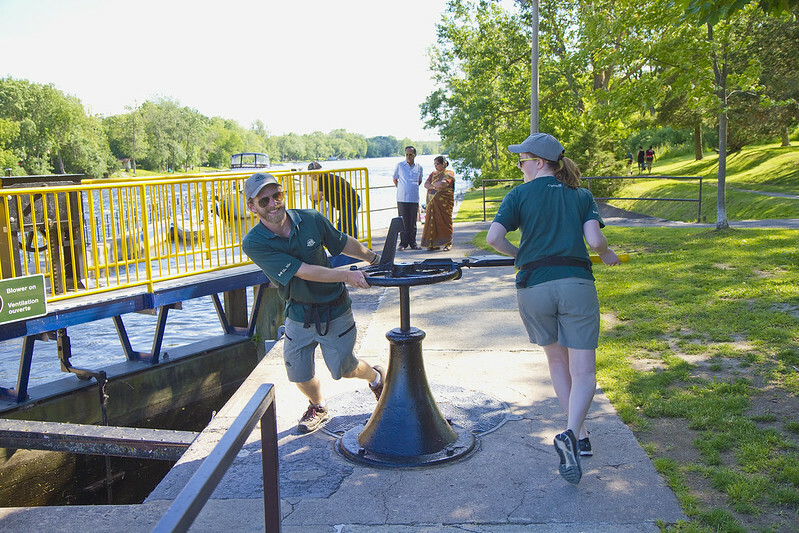 A twenty minute walk or a three minute drive from the above scene, we found ourselves at Lock 19 where some of the same boats were now in action. This group really got around on that day. The watery gates were soon opened and they continued on their way. 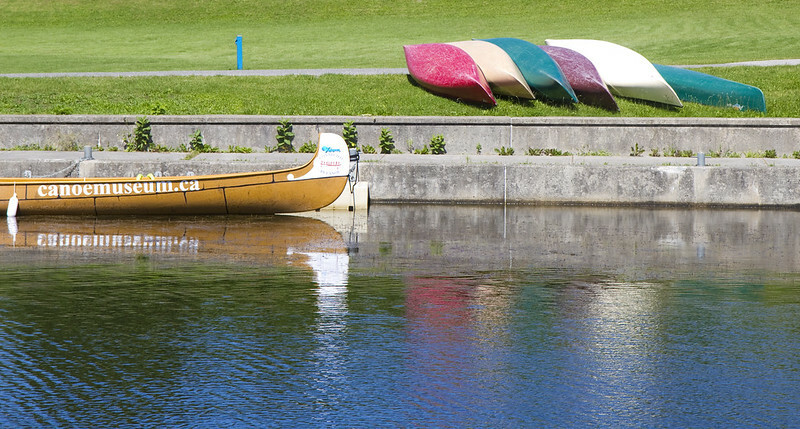 A few boats having a bit of a rest near the lift lock. 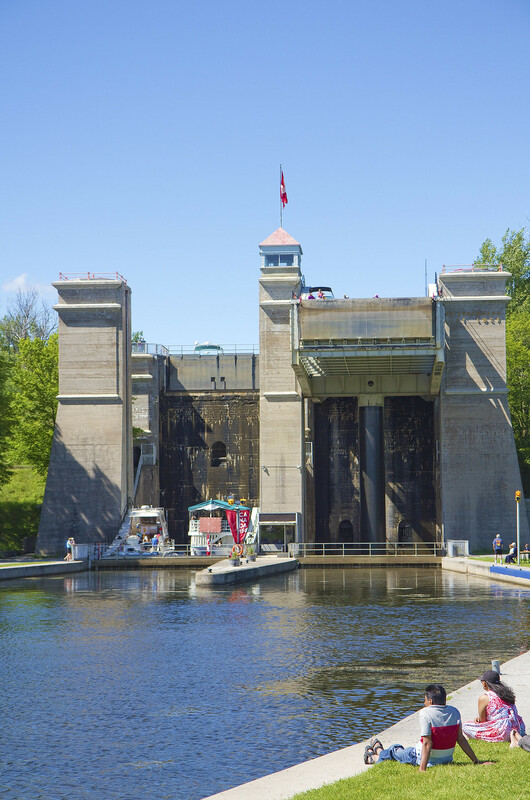 And here is the lift lock in action. 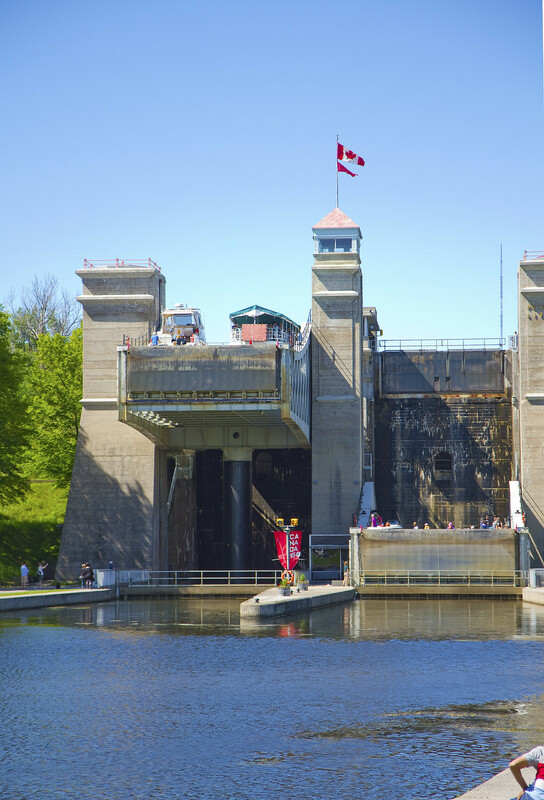 A couple of boats (including the Lift Lock Tours boat) in the left chamber are about to make their ascent. 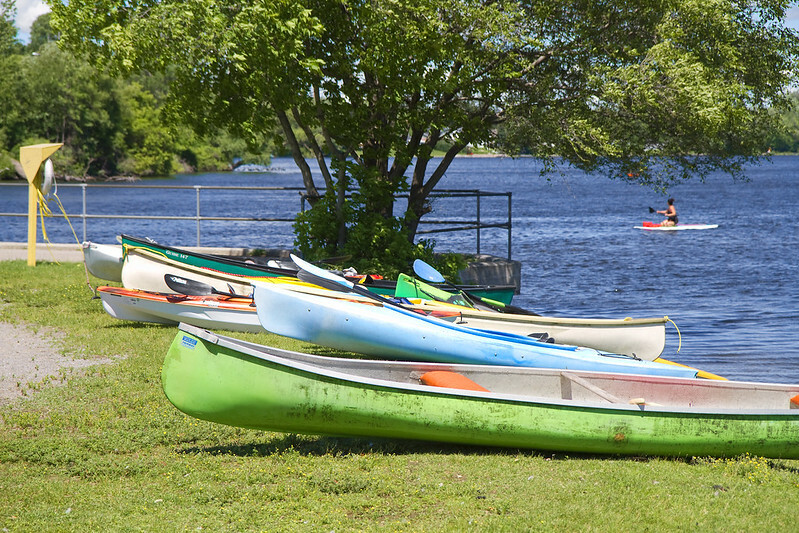 Almost at the top, they'll continue their journey north along the Trent-Severn Waterway. The caisson on the right was full of smaller boats including some of the kayakers we saw in previous photos. I told you they really get around. 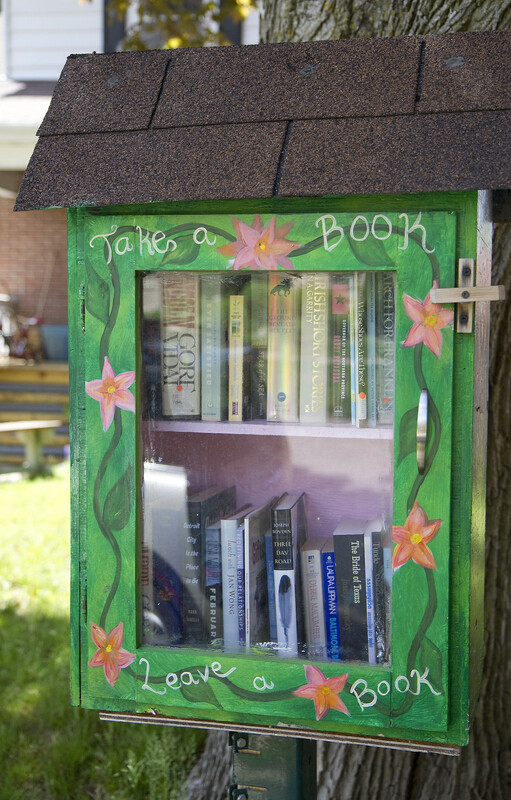 Peterborough has dozens (it would seem) of these Little Libraries around town. 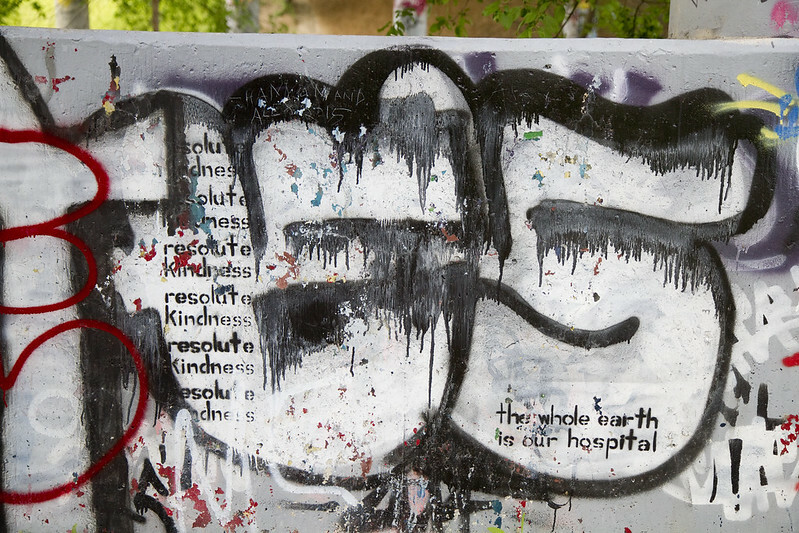 A little more graffiti on the way into Jackson Park expresses sentiments like "the whole earth is our hospital" and "resolute kindness." 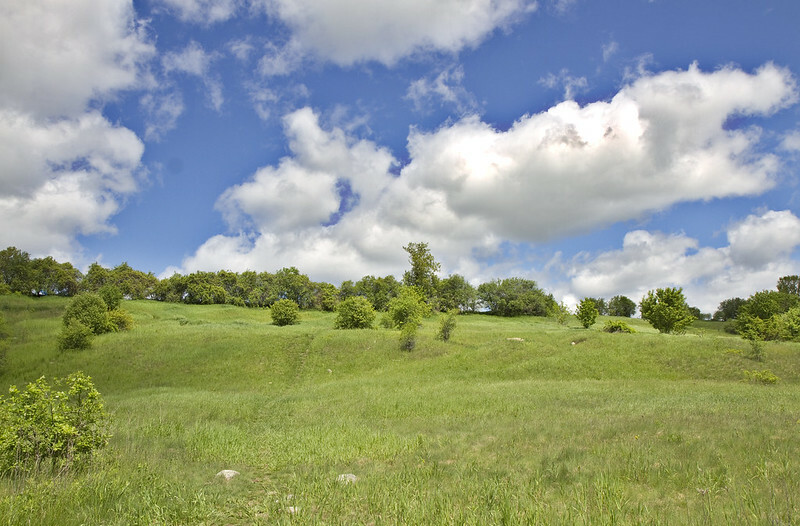 It was a beautiful early summer day with puffy clouds scudding across the sky. This Jackson Park meadow was very inviting with its long grass undulating in the wind. 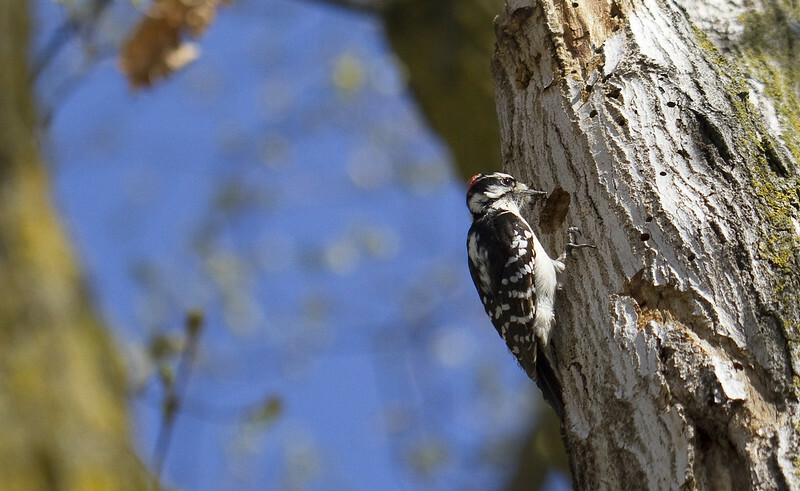 A male Downy woodpecker was working hard at this one tree. His rat-a-tat easily caught my attention. Slogan: Is there anyplace you would rather be? 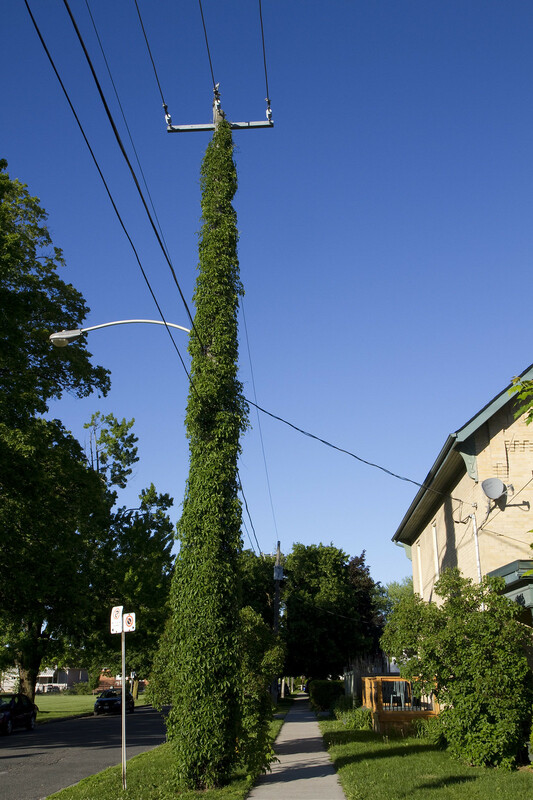 This pole pretty much disappears behind the vines. 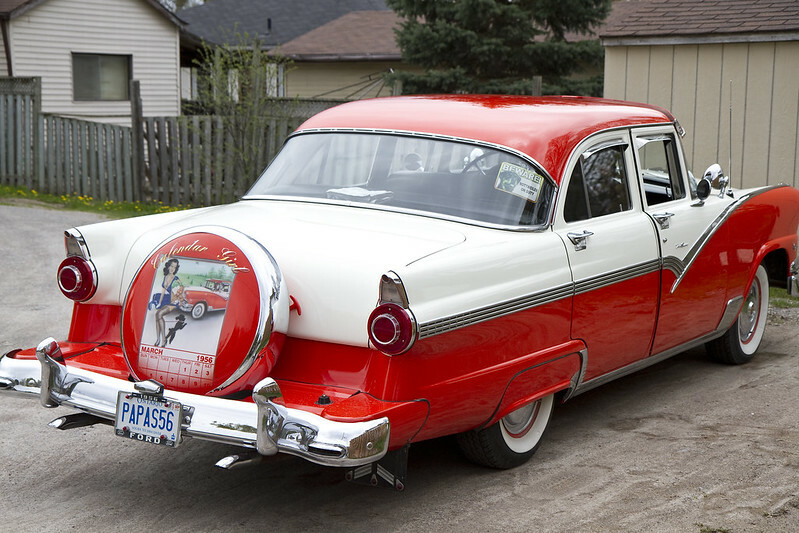 Step back in time with this beauty parked near my place. Something tells me that it's from 1956. 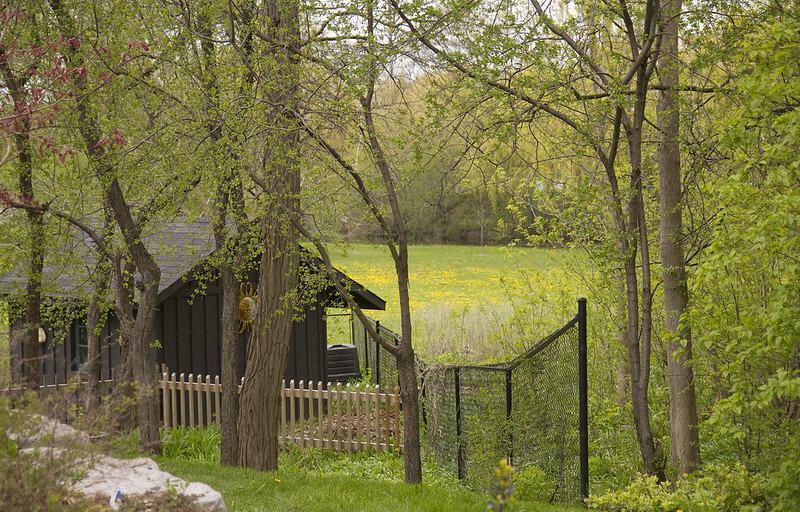 One of the many pretty spots seen while out walking one day in May. 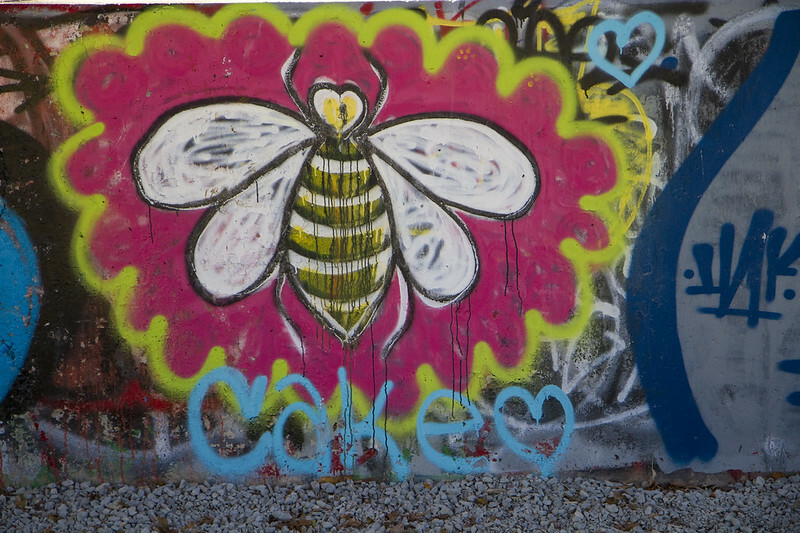 A litte more graffiti because who doesn't love bees? And cake! 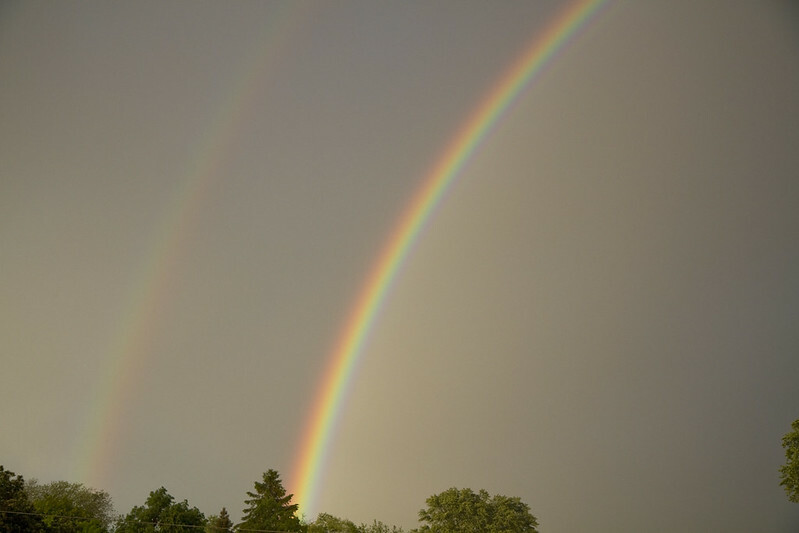 And finally, let's close this tour with a rainbow - a double one, in fact. This one illuminated our view on my birthday while my younger son was visiting and we were both on speaker phone with my older boy. Life is good!